Granstream’s GWN Series provides powerful and secure networking solutions, offering a wide coverage range that feature industry-leading setup and management. This series offers both WiFi Access Points and Gigabit Routers to offer you a complete wired and wireless solution. The WiFi Access Points offer tremendous WiFi coverage range and fast and easy provisioning and management; the GWN7000 Gigabit routers support comprehensive WiFi and VPN solutions that can be shared across multiple locations. Grandstream officially released GWN.Cloud, an enterprise-grade cloud WiFi management platform for the GWN series WiFi APs! It allows you to quickly deploy WiFi networks within seconds and easily manage/view real-time reports for entire WiFi networks across multiple locations. Why buy Grandstream’s GWN Series? 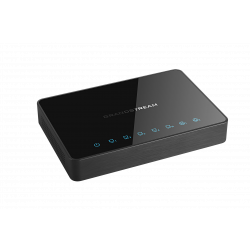 Grandstream GWN7000 Enterprise Multi-WAN VPN Router is a feature-rich powerful tool for any business. This powerful router supports WiFi and VPN solutions that can be shared across one or many different physical locations. 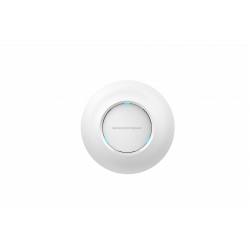 The GWN7600 WiFi Access Point is a mid-level AP for small sized businesses or multiple floor offices that provides dual-band network throughput and expanded Wi-Fi coverage range. 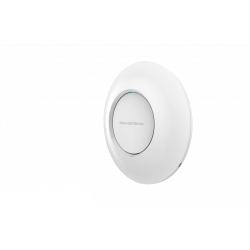 This AP is also suitable for commercial locations and branch offices that have medium wireless network deployments with medium-to-high user density. 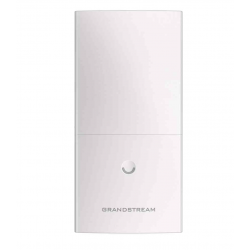 Grandstream's GWN7610 is a wireless enterprise grade wireless access point that is suitable for medium and small businesses. This high-performance device offers Quality of Service (QoS) and self power adaptation upon auto detection of PoE or PoE+. This WiFi long range access point is designed to provide extended coverage support. Ideal for outdoor WiFi solutions thanks to its waterproof casing and heat resistant technology. The GWN7600LR comes equipped with dual-band 2x2:2 MU-MIMO with beam-forming technology and a sophisticated antenna design for maximum network throughput and extended WiFi coverage range of up to 300 meters. To ensure easy installation and management, the GWN7600LR uses a controller-less distributed network management design and an embedded controller within the product’s web user interface. This allows each access point to manage a network of up to 30 GWN APs independently without needing separate controller hardware/software and without a single point-of-failure. Its easy installation and management features packed with extra coverage support and advanced performance features, make the GWN7600LR an ideal outdoor access point for mid-size wireless network deployments.